Wear FHS band shorts and t-shirts. Students need to be dropped off at The Fountains parking lot for the start of the parade. 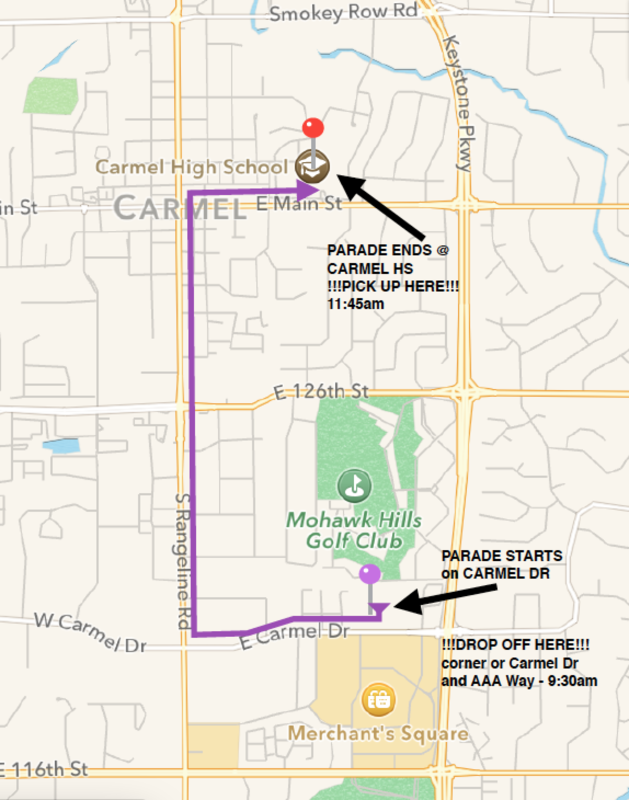 ***The Carmel police will close the west bound lanes of Carmel Drive between 9:45 and 10:00am. After that, participants will start lining up entries double wide across the westbound lanes of Carmel Drive. ***There will be drop offs allowed on the street in front of the Fountains lot. They will only allow in participants that are leaving their cars, large instruments such as drums and tubas, and supporters with other supplies such as water that need to be in the lot. ***Please remember to bring the signed waivers that were sent home with your students on Wednesday. All participants in the parade MUST sign a waiver and present the form prior to the start of the parade. For participants under 21, the waiver form must be signed by a parent or guardian. Click here for a printable copy of the waiver form. Everyone is responsible for transporting themselves and their instrument to the parade. We will not provide transportation or the Semi trailer. 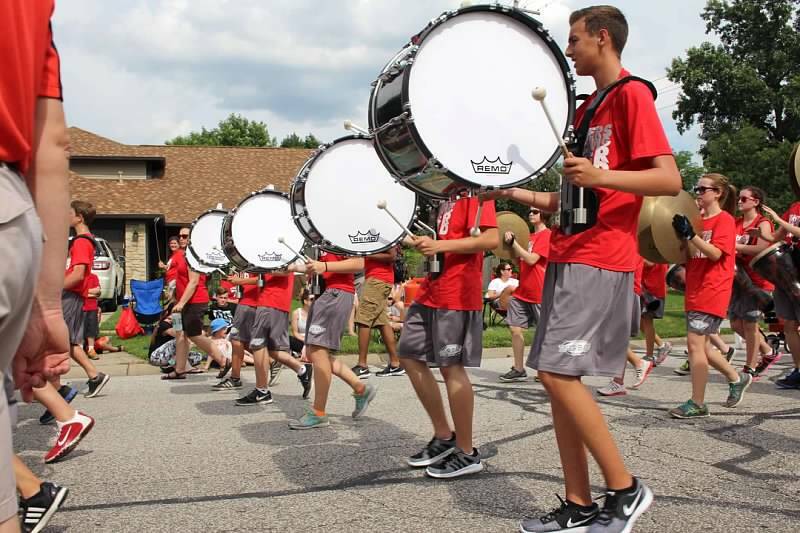 Unlike the Fishers Freedom Festival Parade, ALL members must bring their instruments to the parade. You are responsible for taking your instrument home. Again, if you play a large instrument, you will report back to FHS to help unload. You are representing FHS and TIGER nation… Be PROUD and show off everything you’ve learned these two weeks. …and remember…Have Pride, Show Character and Build Tradition … and have a Blast!!!! Volunteers are needed to help. Sign up here.